Giancarlos Calderon is a video gamer, freelance video game journalist, blogger, known as TheNewEmphinix on YouTube. ﻿Since 2008, Giancarlos has been making video game walkthroughs. Mostly without commentary. His most successful video game walkthroughs include Star Fox, Mega Man X series, Mega Man series, Final Fantasy series, Fire Emblem series and The Legend of Zelda. In 2012, he started making walkthroughs with commentary as well as video game news in which he talked about the good, the bad, and ugly of the video gaming world. 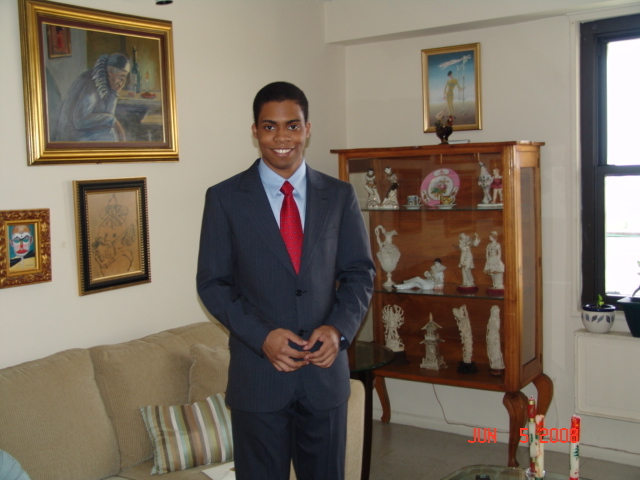 Giancarlos is a strong supporter of the Breast Cancer Research Foundation and the American Cancer Society due to his mother being a breast cancer survivor. When not playing video games, Giancarlos spends his times going to the movies, Barnes and Noble, New York Comic Con, Cosplaying or Midtown Comics as he loves Sci Fi movies, medieval fantasy, reading graphic novels and manga. He is also a lover of anime such as: Dragon Ball Z, Knights of the Zodiac, Ronin Warriors, Gundam series, Pokemon, Gatchaman, Transformers and Voltron. Giancarlos can be quirky and funny. Giancarlos is a native of Bronx, New York. He moved to the Dominican Republic at the age of 7 in 1993 and lived there until the age of 19. During his days in school he'd hangout with some friends, but when not hanging out, he'd just stay home and play games, surf the net, draw, and study. In 2006, he returned to New York for college and majored in Graphic Design. While in college, Giancarlos developed an aptitude for Photoshop, Video Editing, Flash Animation, and Drawing. His love for medieval fantasy and RPG came from watching his brother play The Legend of Zelda and some family members and friends play Final Fantasy as well. Giancarlos was a merit student in the 7th, 8th, 11th, and 12th grades.